Memphis, Tennessee rockers EVERY MOTHER’S NIGHTMARE unveil their latest video ‘Delta Voodoo’ in advance of the forthcoming reissue release ‘Smokin’ Delta Voodoo’. As previously reported, SDV is set for a June 8th street date and issued through HighVolMusic. 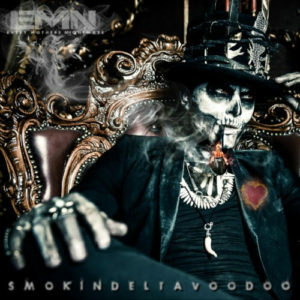 ‘Smokin Delta Voodoo’ was re tweaked and remastered by Anthony Focx (Cage & Focx, Beautiful Creatures). The package features all new artwork and bonus tracks. Advance sales begin on Tuesday May 8th at www.hvmmerch.store. EVERY MOTHER’S NIGHTMARE is currently touring the east coast supporting both of their latest releases which includes the highly praised GRIND and ‘Smokin Delta Voodoo’. West coast dates begin late June. More information can be found at www.emnrocks.com.